This starting hole offers a wide landing area. 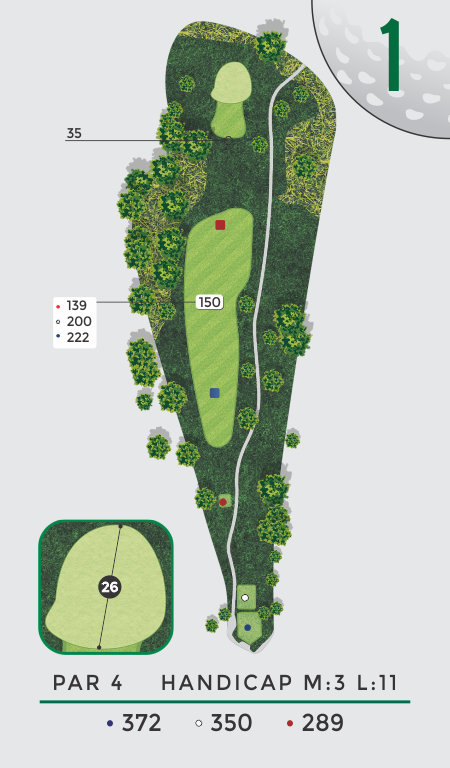 The ideal tee shot would be down the right side to avoid native grass in the left rough. This should leave a short iron into a mounded green. To avoid a very tough pitch shot, guard over clubbing.